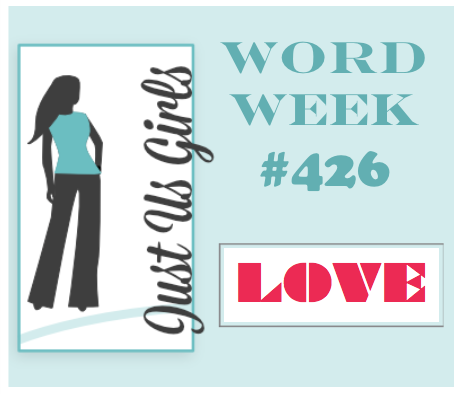 Hello and Happy Weekend, We have the perfect Word for you this week over at Just Us Girls! The word is LOVE! I have another Verve set for you today that just so happens to have a coffee cup on it, and you thought I was all through with the Coffee binge that I seem to be stuck on lately! Well, not quite yet! This set actually is a digi set. You must go check it out HERE! I used a bit of MFT, Spellbinders, and SU dies, and a really fun Paper die cut from Paper Smooches. The love square is actually DP and not a stamp. 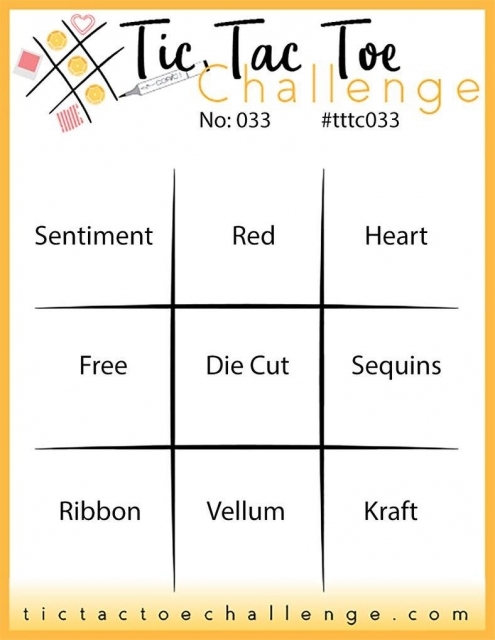 I am also linking my card up over at The Tic Tac Toe Challenge where I have selected the top row of Sentiment, Red and Heart and over at Stamp, Ink, Paper where the Challenge is All you Need is Love. Categories: Cards | Tags: anniversary, Card making, Cards, rubber stamps, stamping, Valentines Day, Verve Stamps | Permalink. Love is the word for your card, I just love it. Great papers and design. What a cute design! Love the die cuts and the fantastic layers, perfect colors too! Thanks for joining us at Stamp Ink Paper, hope to see you again soon! You are rocking the coffee themed cards. I love this for a Valentine design. Wow, this card is fabulous!! If I didn’t know better I would think I was looking at a Donna card…lol. You have so many elements going on here, but they all work so perfectly together. So many little die cuts and they are all so stinkin’ cute. Love your color palette too, this is just gorgeous!!! 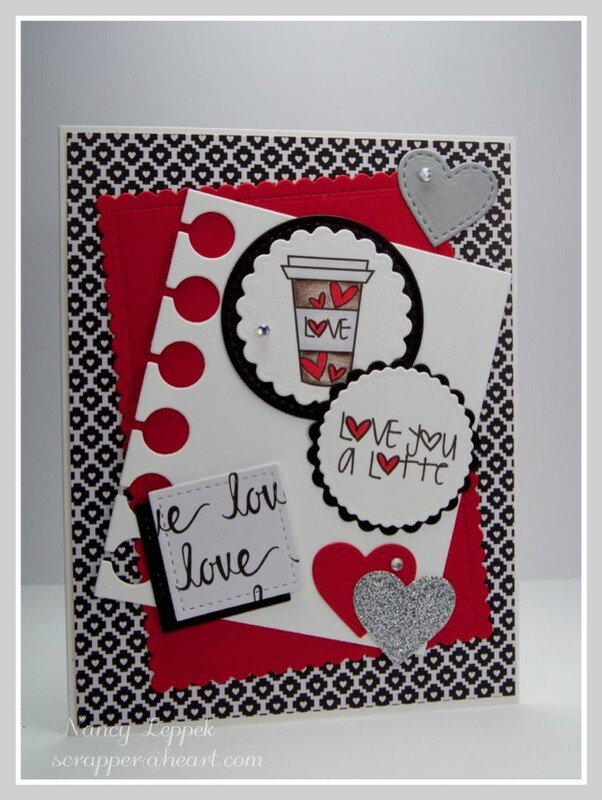 A delightfully composed collage card with the charming array of coffee-and-love themed images, patterned paper, notebook edging and snippets of sparkle! Love this! What a seriously fabulous card! You had me at coffee! lol Coffee is actually my first love! 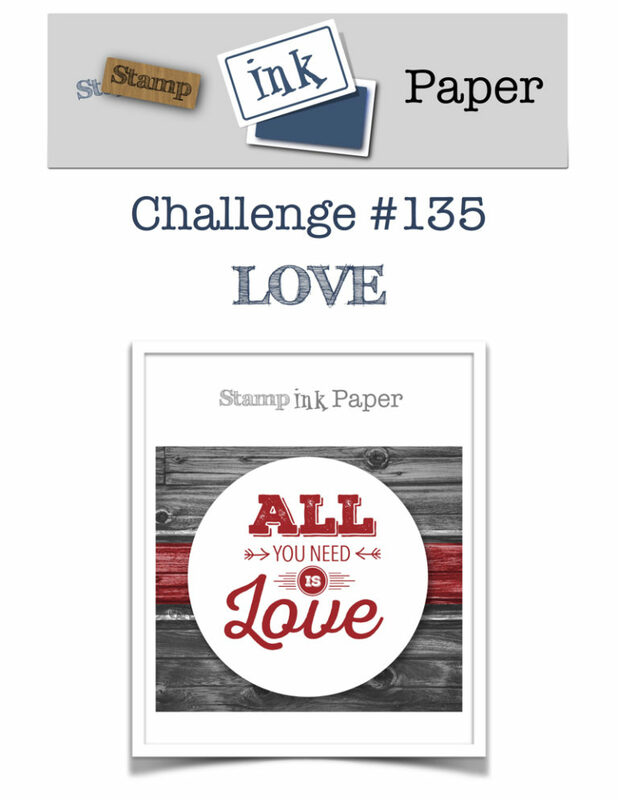 Thanks so much for joining us at Stamp, Ink, Paper for our Love themed challenge! Wonderful design with all the layers and DSP, Nancy. I pray this finds you well and enjoying your week. This is so cool! I really love your composition on this with such awesome detail! Lovely card and subject matter. Loving the black, red and white color combo too. Awesome layout colours and layers. Looks soooooo good in red black and white Nancy. Darling card! Love the different focus areas. And coffee ~ who can be done with coffee?? Thanks so much for joining us this week at Tic Tac Toe Challenges! Way to flash the Verve. Great card! !